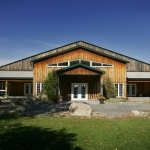 Our largest facility boasts vaulted ceilings, wide naturally lit foyer, optional, spacious bridal retreat for getting dressed on your wedding day, two large covered patios, collapsible partition wall to divide the space into two separate areas, and fantastic views of the grounds & gardens. 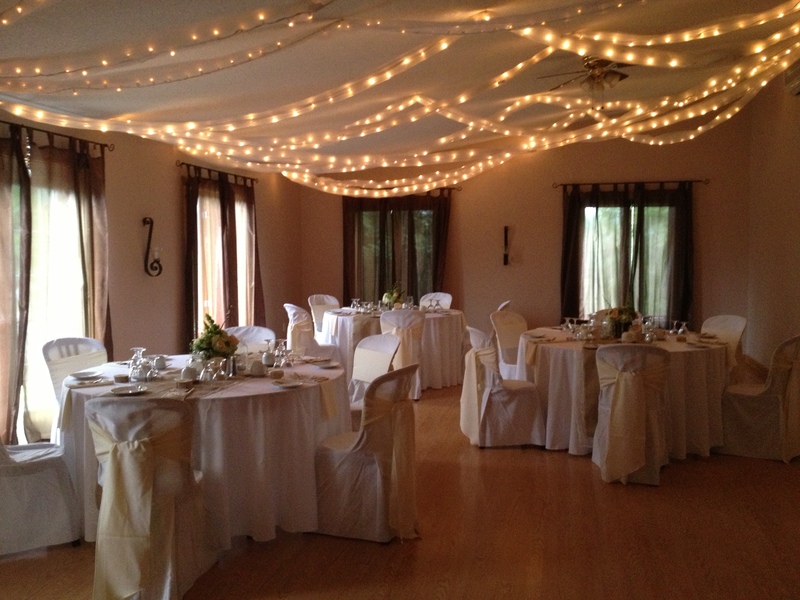 Best known for the gorgeous ceiling & optional treed backdrop – The Maples is your fairytale come true! 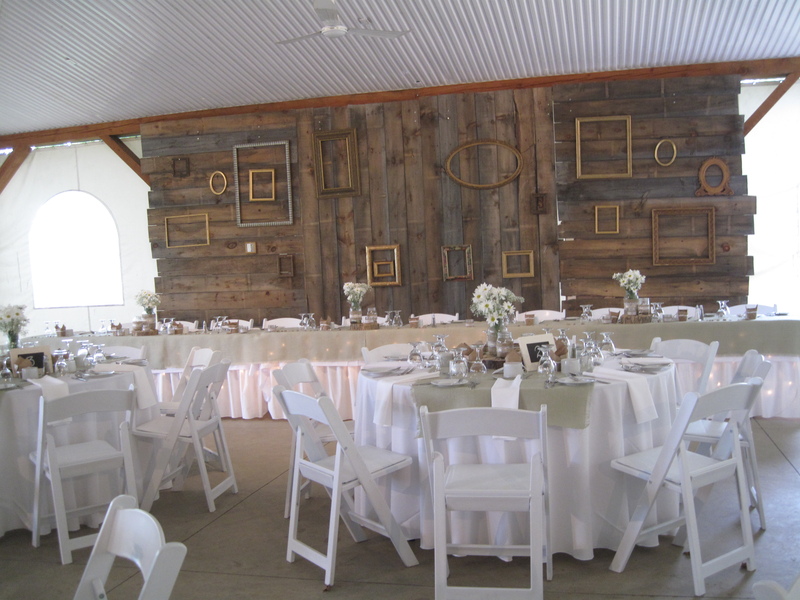 Our experience decor team can transform this already beautiful space into a breathtaking vision – ensuring you have the perfect setting for your big day! 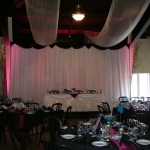 The partition wall allows us to separate your cocktail area from your banquet area – giving guests the effect of a “grand reveal” when it’s time to be seated for dinner. 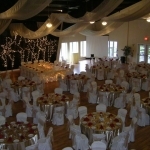 The Maples Hall will comfortably sit 275 for dinner and up to 350 for a cocktail style reception. 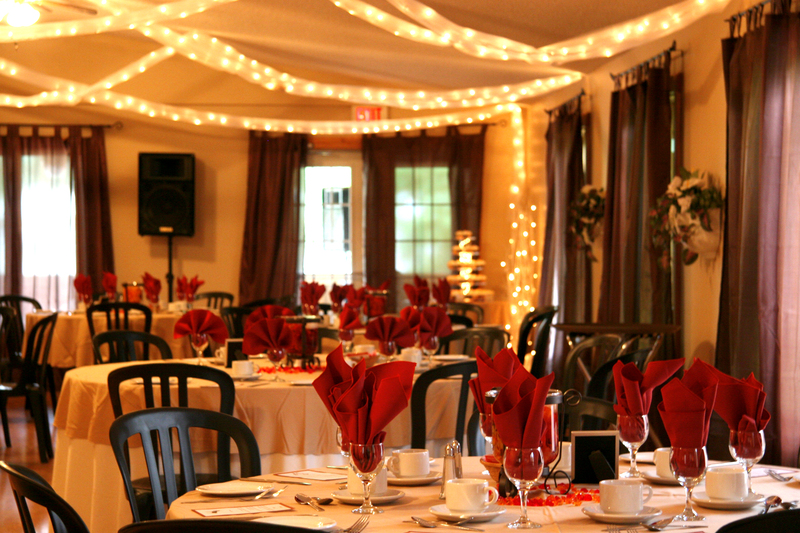 This venue is fully licensed under the AGCO and comes equipped with a fully stocked bar & Smart Serve certified bartenders. 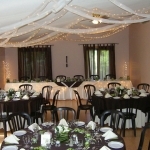 The Maples Hall is exclusive to our in house Catering. 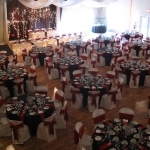 This large open concept space, offers all of the amenities of a traditional banquet hall with the outdoorsy feel of a wedding tent. 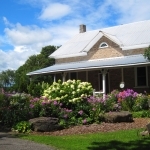 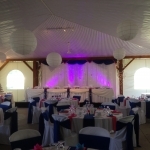 Its cedar beam construction, tin roof, finished cement floor, freshly renovated washrooms, DJ Booth, and panoramic views of the farm make for a memorable backdrop for your special day. 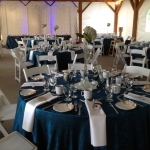 The visible cedar beams, and bright airy feel to the tent, lets our decor team start with a blank canvas and create whatever vision you may have! 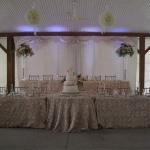 From a high-class black tie, to a casual country chique, the South Lawn Tent gives you complete freedom in setting the tone & atmosphere for your wedding day. 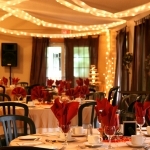 The South Lawn Tent can comfortably accommodate up to 160 guests for dinner and up to 200 guests for a cocktail style reception. 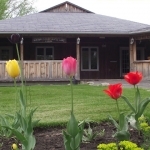 This venue is fully licensed under the AGCO and comes equipped with a fully stocked bar & Smart Serve certified bartenders. 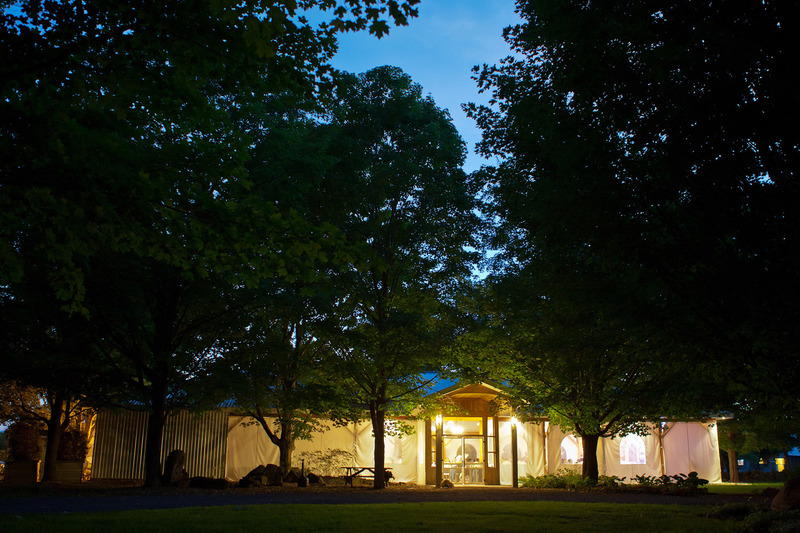 Our coziest facility offers you quaint comfort nestled between our turn of the century fieldstone farmhouse & waterfall garden. 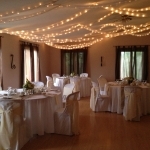 It features a limestone fireplace, a comfortable bridal retreat for getting dressed on the big day, a large covered front porch for dancing under the stars, and floor to ceiling windows that offer breathtaking views of the surrounding grounds. 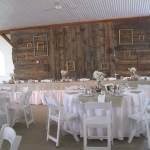 The Stonehouse Halls one of a kind shape, and unique rustic feel can be played up for harvest themed weddings, or outshone by glamourous decor! 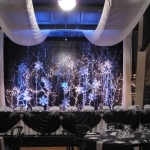 Let our decorating team create the wedding of your dreams, by completely transforming the space to reflect your own taste, style & personality! 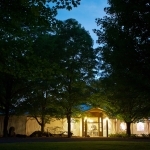 The Stonehouse will comfortably accommodate up to 70 guests for dinner and up to 100 guests for a cocktail style reception.